If you live in the city but want to be close to nature, you need a terrarium. If you find yourself in the country but with no time to step outdoors, you need a terrarium. If you are confined to an office fifty hours a week, a terrarium can be your connection with nature. And if your home décor needs a little extra green, try a terrarium. Quite simply, terrariums are the solution for bringing all the benefits of botany and you together. 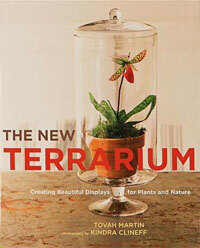 In The New Terrarium (Clarkson Potter/Publishers, a division of Random House, Inc. 2009), Tovah Martin presents the whimsical yet practical world of gardening under glass – a no-fuss way to bring snippets of nature indoors and intimate. When encased in glass, plants thrive with almost no help from outside their little enclosed world. With the aid of a terrarium, you can host nature almost anywhere – in your parched apartment or your dim cubicle. Whether you are a summer gardener or city-dwelling nature lover, The New Terrarium will spark your creativity and turn your world green year around. Writer and illustrator of more than 75 beloved children’s books, Tasha Tudor lives a 19th-century lifestyle in the gardens surrounding her hand-hewn house. In this gorgeous book, garden writer Tovah Martin and photographer Richard Brown take readers into the magical gardens called “Paradise”–and behind the scenes. Photographs and watercolors throughout. 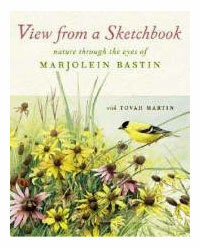 In this open sketchbook, Dutch artist and naturalist Bastin invites readers on a nature walk through the wet, dark woods of her native Holland; the hardy, waving grasses of the Missouri prairie she purchased and restored; and the shell-strewn shores of Grand Cayman island where she often retreats. Best known in the U.S. for her line of Hallmark greeting cards of “uncannily lifelike birds, and animals, and flowers, suffused with color,” she reveals her passion for preserving nature’s splendor through conversations with garden writer Martin, personal interjections highlighted in sidebars and a rich collection of agreeable watercolors. The brief, illustrated chapters—featuring her herb garden, her bird feeders, her goose pond, etc.—are grouped according to the four seasons and offer a delightful annual tour of the natural world. 100 watercolor illustrations. 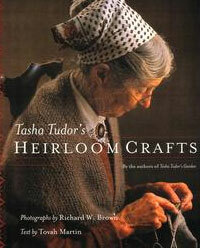 The author and photographer of the classic Tasha Tudor’s Garden deliver this intimate celebration of the gardening rites and rituals that mark not only the passage of the seasons but the passage of the years as they are shared with successive generations. 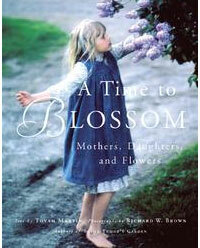 In A Time to Blossom, Tovah Martin commemorates with words — while Richard Brown illustrates with lush photographs — the joys and discoveries of the horticultural year as experienced by a child. In this magical sequel to Tasha Tudor’s Garden, Martin and Brown revisit America’s beloved children’s book illustrator, taking readers inside Corgi Cottage to watch Tasha craft items that are an integral part of her legendary 19th-century lifestyle. 100 color photos. 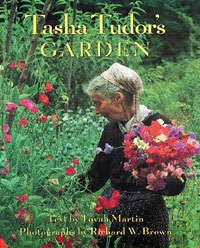 Tovah Martin and Brown (Tasha Tudor’s Garden) take a walk on the lighter side of horticulture. Postulating that “gardeners suffer from a tendency to take themselves too seriously,” the pair drop in on 10 practitioners of the craft who have learned to cut loose a little. Clearly inspired by their subjects (quirky green thumbs who leaven their compost with irreverent wit and creative flair), the authors chronicle found art and impertinent plant pairings. 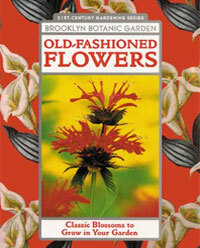 Once-forgotten flowers and the stories behind scores of captivating plants from the past are rediscovered in this fully illustrated volume. Alternately admired and considered out of fashion, these enchanting blossoms have been the bedrock of spectacular bouquets and have provided medicine and food throughout the centuries. This book delves into the history of classic bulbs, ravishing old-garden roses, antique annuals and perennials, heirloom houseplants, and vintage vines. Tips on how to create period floral arrangements and an extensive list of hard-to-find heirloom suppliers make it easy to reintroduce these beloved garden species into a contemporary setting. Keeping vintage flowers available and teaching readers how to grow these heirlooms — this book ensures that neither they and nor their fabulous history will disappear. I am thrilled to learn you are the new writer in residence for Victoria Magazine. 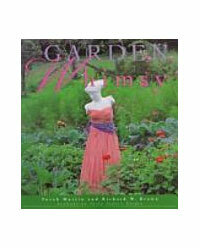 I have enjoyed your writing and books for years, and also your spots on Victory Garden. Sometimes I will read an article that deeply interests me, enjoy the “voice” of the article and then after checking, realize you are the author. Congratulations! You just lit up my day. More accurately — you just kindled my life. Linking with kindred spirits is what it’s all about, isn’t it? Touching antennae with other souls who are grounded is what makes our world go round. Thank you so much! Victoria magazine unleashes a deep place within me. I always seem to pull from somewhere very unique when I sit down and connect with Victoria’s readers. Please continue to give me feedback. The community is everything.